I'm not sure what's going on, but I’m having one of those days where I can’t stay focused. I’ll be busy working on a project and then magically, I end up on Facebook waisting 20 minutes going through my newsfeed. Then I’ll start working again only to be distracted by email, which needs to be cleaned up and reorganized. After spending an hour going through all of my email accounts, I decide I need a pick-me-up, so I make a smoothie. But then I notice the dirty dishes in the sink and before I know it … it’s time to pick up my daughter. 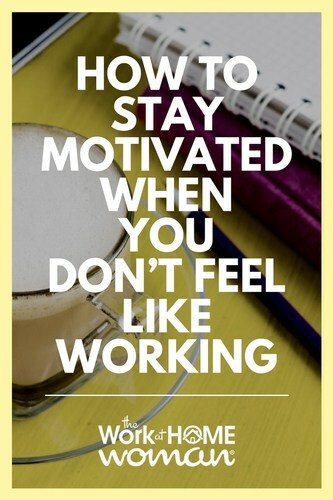 When you start to feel unmotivated, here is how to stay motivated when you don't feel like working. When you work from home, you are bombarded with distractions — from household chores and neighbors asking for favors to TV, kids, pets, and Facebook. If you're going to successfully work from home, you need to eliminate the triggers of distraction from your day. First, identify all the items that distract you during your work day, once you have this list you can create a solution for each trigger. If Facebook is a significant time drain for you, try using an application like Isolator that covers up your desktop, icons, and windows of all other applications, so that you can focus on the task at hand. Have neighbors that always stop by? Set and communicate your office hours to them and let them know that they need to call before they come over. If this doesn’t work — don’t answer the door. Eventually, they will get the hint. The more aware you are of your triggers, the better equipped you can be at avoiding them and the distractions. There are going to be days when you just don’t feel like working. When this happens you need to bring yourself out of the funk as quickly as possible. An easy way to accomplish this is to give yourself a healthy dose of perspective and motivation. Try using Pinterest to create a vision board that can be easily accessed. Include quotes, inspiring stories, accolades that you've received, motivational videos, and images of your goals, dreams, and family. As little as ten minutes can change your mood and give you the push that you need to get going again. You probably started working from home so that you could have more flexibility in your life, so don’t sabotage your position by missing deadlines, delivering sloppy work, or dropping the ball on projects. Make sure to communicate clearly with your boss or clients on expectations, goals, and office hours. Be on task when you’re supposed to be working. Taking advantage of your telecommuting status by abusing the trust your employer has placed in you can put your remote working status and job in jeopardy. I have to agree with Dr. Stout on this one; I know when I have a huge to-do list, I’m always more productive than when I have less to do. But the key is to have that to-do list in place; so plan out your day either the night before or first thing in the morning. While distractions and lack of motivation will occasionally rear their ugly heads, these coping methods can help you get back to work faster. What coping methods do you use for dealing with lack of motivation? 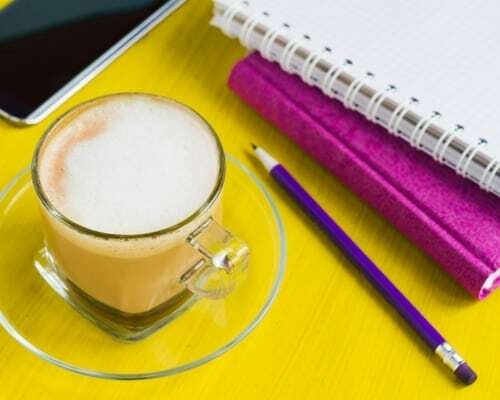 Working from Home – Where Do You Find the Motivation? Ah distractions. When you’re at home, there are a lot of them – facebook, bed, food. That’s why I have a working space, away from the bed! And working hours, too. And I try to stick by them so I can ensure that I get work done. Hey Jen, Facebook is my distraction kryptonite. I have to stay logged out of it. Otherwise, it’s a rabbit hole for me. I’ve also had my assistant take over FB marketing which has helped tremendously. Thanks for stopping by! Every week I plan a work schedule but end up spending more time on Facebook and Youtube. Thanks for such a wonderful post. It motivated me to be more productive and keep out of all other distractions. This is such a helpful post for me. I find myself very easily distracted, and then at the end of the day I feel as if I done alot and accomplished nothing. Luckily, I work with a team of other Work at Home ladies and one of them specializes in keeping me on task. That’s great that you have a group to help motivate each other. Do you work in a co-working space? Great advice! My biggest challenge is digital distractions. I close my email and all social media before I start on a big project. Kids are also a challenge… I’ve found the best approach is to define clear hours in the day for work. Then make sure the whole family is on board with that. Same for me, digital distractions are the hardest to deal with. I find that I need to be firm with myself and make myself close down the application fully, otherwise I’ll sneak on inadvertently.